1818 N. Hubbard St. Photo by Brian Jacobson. 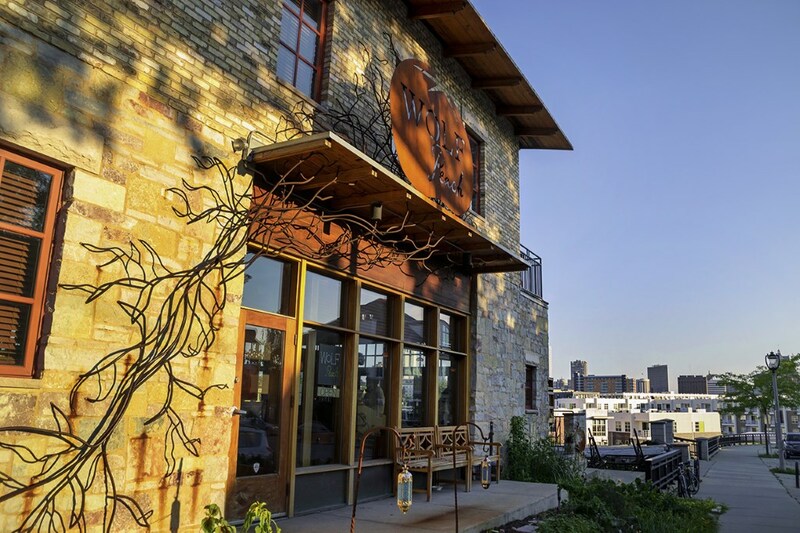 MILWAUKEE – View MKE, a new neighborhood restaurant featuring small plates, shareable platters and a local take on globally-inspired cuisine, today announced it will open later this summer at 1818 N. Hubbard St. in Milwaukee’s Historic Brewers Hill neighborhood. 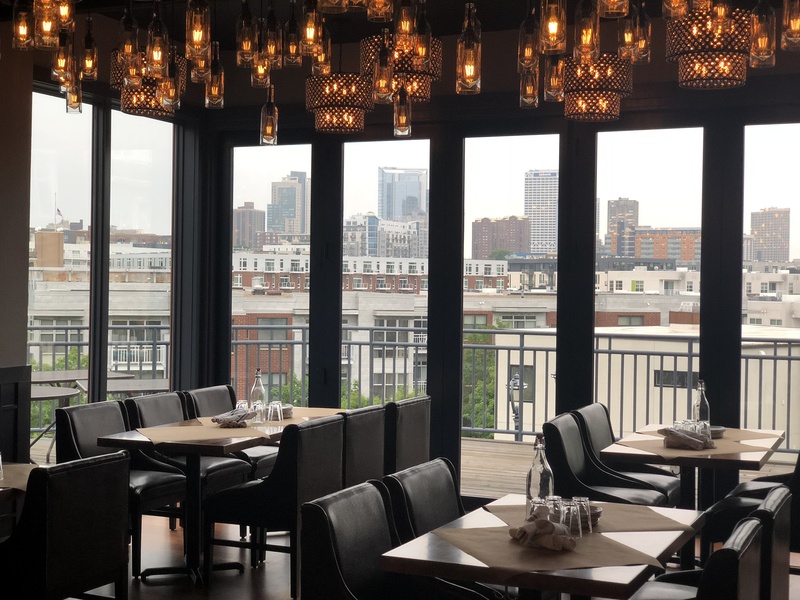 Owner Carl Tomich said the restaurant will feature two stories of indoor dining space and a large outdoor patio, making the most of panoramic city views and bringing neighbors together for dinner, craft cocktails and a signature weekend brunch. The View MKE culinary team includes highly skilled chefs from some of Milwaukee’s top restaurants, Tomich said. Executive Chef Zach Panoske most recently was sous chef at Harbor House and previously worked as a private family chef and a culinary teacher in Madison. The restaurant will have two sous chefs – Jerry Feger Jr. and Paris Dreibelbis – working in concert. Feger was most recently chef de cuisine at Swig and has worked at Eataly in Chicago and as an assistant to chef Lidia Bastianich. Dreibelbis comes to View MKE from Ardent. He trained with two Michelin 5-star chefs in Minnesota and in 2017 won the Ment’or Young Chef Competition in Las Vegas. The general manager of View MKE is Andrew Ruggeri, who brings decades of experience having held management positions at Hotel Metro, the Delafield Hotel and Andrew’s Restaurant, the Clarke Hotel and Black Trumpet Restaurant in Waukesha, Timmer’s Resort in West Bend and others. He is the former owner of Ruggeri’s Ristorante in Delafield. Region, the Philippines and other corners of the world. The indoor dining space will feature small plates with a menu that will change with the seasons, and appetizers and shareable platters for groups will be the focus for the separate patio menu. View MKE is currently interviewing for the position of head bartender, and the restaurant will feature a full menu of craft cocktails, fine wines and tap and bottled beers, Tomich said. The seating layout will be designed to maximize city views, and inside décor will include photography and a mural celebrating the city. View MKE will be open for dinner seven days a week and for brunch on Saturday and Sunday. The restaurant has filed permit applications with the City of Milwaukee Licensing Board and is awaiting city approval. The indoor dining area and deck are expected to open in mid-summer, with the patio area opening later in the season. Buildings: 1818 N. Hubbard St.